This project connected the existing high school to the middle school with a 22,000 square foot 700-plus seat cafeteria-dining area. 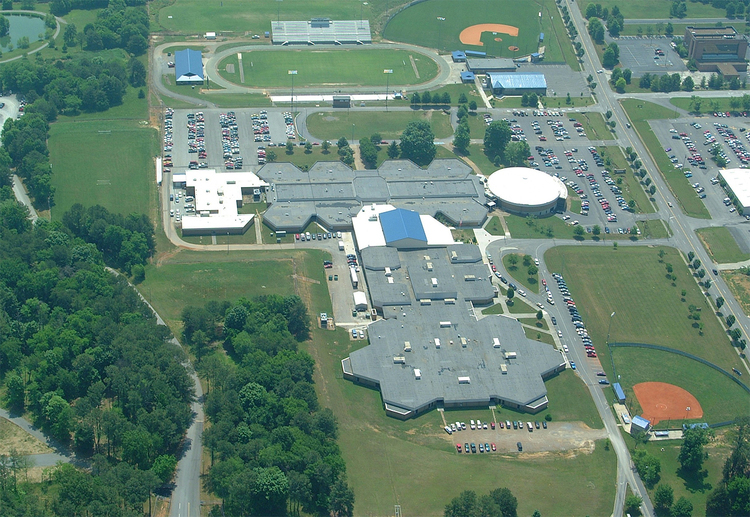 The existing middle school was renovated into high school classes, theatre, band, and computer areas. The total renovations consisted of over 250,000 square feet. The renovations included electrical systems upgrades, new lighting systems, new sprinkler systems, ceilings and painting. The high school was kept operational during the entire project. Project savings and additional funding were used to roof and air condition the gymnasium.